Extremely astonish to hear about this but guess what ? I think you don't know the hint but don't worry Links will give you a deem secret about this Topic. Probably whatsapp is a tremendous stand out social app that keeps us engaged with family and friends. Whatsapp is kind of array with a multifarious features and helps in getting in touch with whosoever and whatever that we cares about though unlike advance tech (Facebook). It also emerge in the business premises though am absent when it comes to business with whatsapp. So let me explore what this topic is all about in a synopsis. I know is a bad idea if i say you can take a sip on whatsapp without getting sim involved though i see it an an offline mode ? You can install whatsapp without phone number ? May be i will definitely show you the three strategy format to go about this. But the best tip is that you can alternatively install app in a separate device without initiating sim on it so below is how? So whats the appeal here, Well google mail has also provide crucial services with some other identical email like Yahoo and more. Precisely we all manage our online business with email meanwhile each and everyone of us has one or two email address in a respective purposes. One for minor purpose while other one become your major privacy. So the final verdict here is that as you manage multiple emails you might decide one day to tap on whatsapp with the same ways. Another fact is that you can manage emails in a solo device but you can't do that when it comes to whatsapp. Because of this we need to apply the plan B as an alternative in such that you need another number to create a new whatsapp account. You might be thinking to get another number to get this tips work for real but don't worry i will show you how you can add or get a new number. Just follow the below instruction to get a free number for this offline whatsapp one one condition. The solution can only favour those of us who are residing in Canada and US meanwhile you simply set up google voice to enable you get new number. 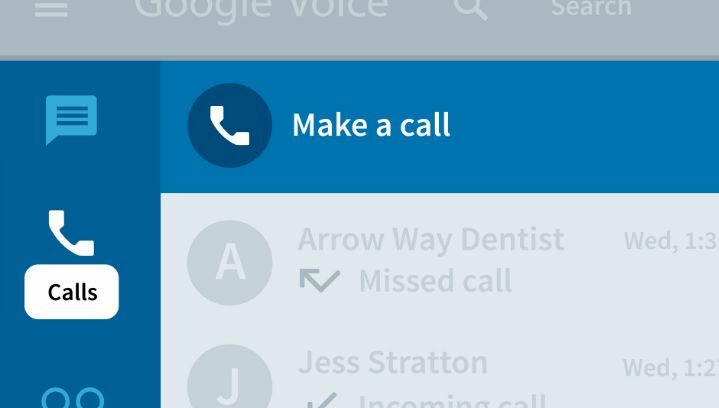 Whats the main features of google voice number. 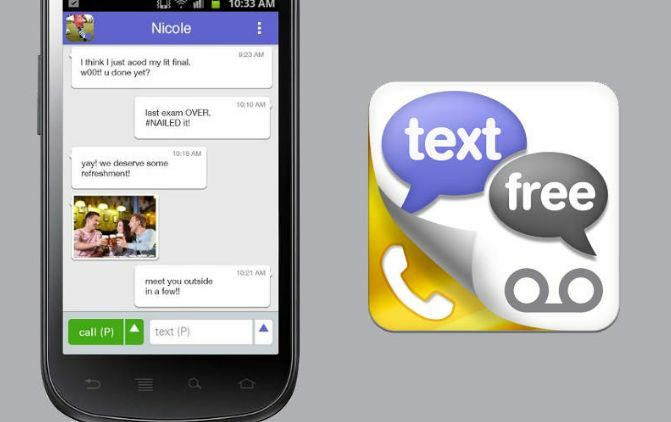 The common features is that it helps you to forward,send and receive test messages. It also implies that you can as well use it to install whatsapp app but in second phone. You the free US phone number here with the google voice. Read the post and know how to get the number. You see how to activate the number with your own residing number to verify code. This app can also help you to get a free US number but it will only serve as alternative if only you try out the Google Voice Number and it didn't work out for you. This app is also available on google play store for those who are using Andriod while those who are using iOS should search for it on iTune. This app also has great feature such that you can use it to receive video call and also make free SMS TEXTING. So the only thing you can do is to create account using the app and the have special number. 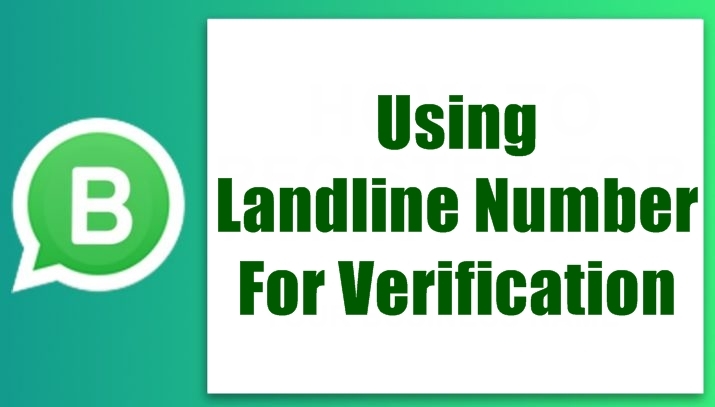 You can use it to receive whatsapp verification within that time interval number meanwhile it can be use as secondary number. Otherwise, the number will be lost and you need to reserve a new number. Here is another one you all need to check out. You the two above steps didn't work out the way you expect, may be you should try this landline method. Do you like having fun at home and most time you make use of the landline like Vonage/ooma then you can also make use of it under this topic. You can simply use the number for whatsapp account. The appeal here is that instead of you making text message as your verification method, you can choose to make use of the call option. So the thing is that you will use the landline to receive call through the landline. One you entered the number and then choose the call verification, whatsapp will call through the landline. Make a note of the verification code from that call and enter the same to activate your new WhatsApp account. 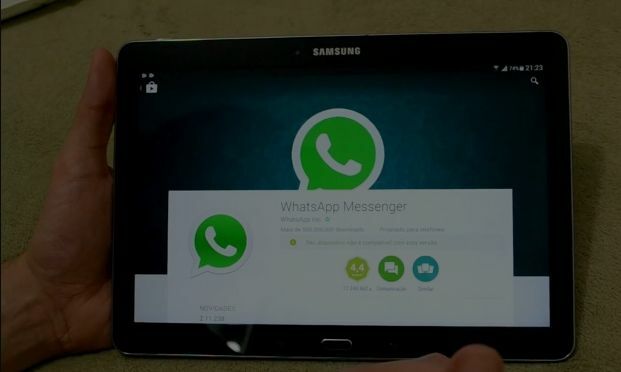 How To Use Whatsapp On Offline Tablet ? Installing whatsapp on tablet might be that tough but you and i new it that Tablet don't support sim slot so how can we connect whatsapp online and how can we install it to work for. Probably you are using whatsapp on one of your android device and decide to try it out on your spare device which might be tablet. No specific whats version meant for that tab but you can still install whatsapp on tab using the apk file. For that, you need to turn on the option Settings->Security->Unknown Sources to allow installation from unknown sources. Just like we normally do when some apk files are unable to install but all we need is to enable the unknown sources for it to be installed. We all know that apk apps are not directly from google. They might those apps you download from online websites that provide apps for android meanwhile you ought to understand that the whatsapp apk is a third-party app which also meas that it might be risky of course not save safe. So if you are doing it that's should be your own decision and the decision is the best way to install whatsapp on your tablet. Bringing your mobile whatsapp on PC is very simple and easy but the question is that do you know how to do it. However whatsapping on PC is possible with the QR code scanning. this method is very popular but am still going to enlist it on this particular post. All you need to do is ti visit the official whatsapp website and then from your phone messenger you can now scan with the QR code. This app is also available both on windows and Mac but for you to use it on this operating system you need to connect it with your android phone ore with your iPhone after you have sign in with the mobile device. Then from your mobile whatsapp you can now scan it via the OR CODE. 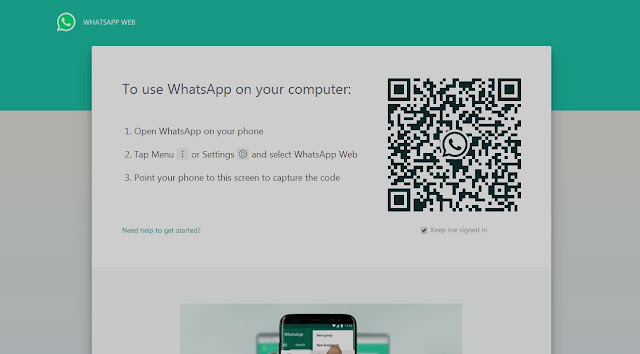 Chatting with PC is even good though it that before you can access the whatsapp on PC you need to scan through the QR Scanning. You can sending & receiving messages, photos, documents etc. Can I Install WhatsApp on iPad? Apple always has the best way they are doing their own thing meanwhile there's no whatsapp version as for the iPad. Apple keep making secure security to their platform of course the iOS is one of the strongest OS with better security. So the stuff is that apk is the the file format or file extension for iOS meanwhile we can't possible install whatspp even with the apk file. Well, i the worst thing you can do to a solution is thing so as the iPad there must be a way round. Below is some step to follow. Once you are there, then tap on load desktop site on the right side of the page. If you don’t see that option, tap the Refresh button. So that is how you can link iPad with Safari browser. However, using whatsapp on this browser is limited because the browser don't support this platform. 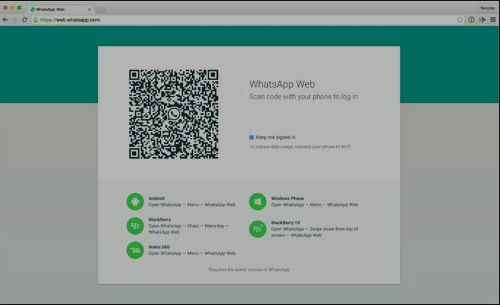 Using whatsapp on this browser will limit some whatsapp features like notification with some other things. I thing the best ways to use whatsapp on tablet or iPhone is by apply the above instruction. Specially web whatsapp is the best though using Safari browser might not even suite it better. 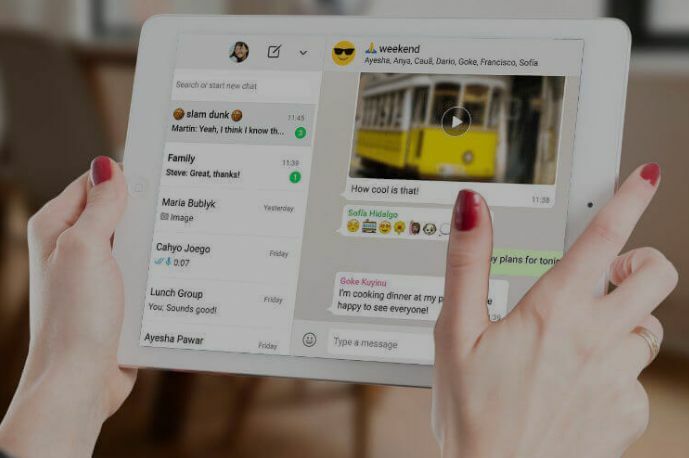 This post is an alternative way to use whatsapp on iPad or Tablet but also showing the best way to use it without sim or when your phone is in offline mode.